This quad point throwing star is a blast to throw and features a sleek, future inspired design. This uniquely designed star packs just as big of a punch as traditional Kung-fu styled shuriken. 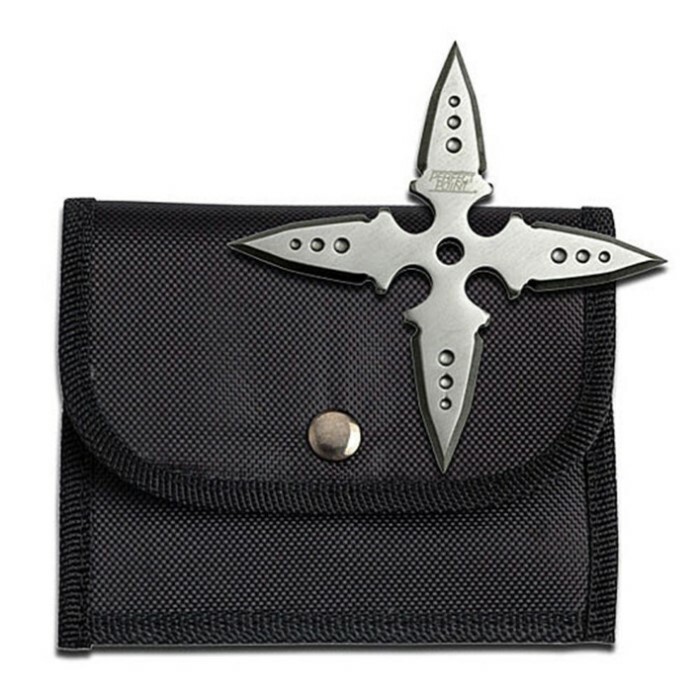 Each star is forged from one piece of 440 stainless steel and includes a nylon pouch with belt loop. Measures 4 1/4 in. across.